A 14-year-old girl had her finger amputated after it was almost ripped off when a playground prank went horribly wrong. 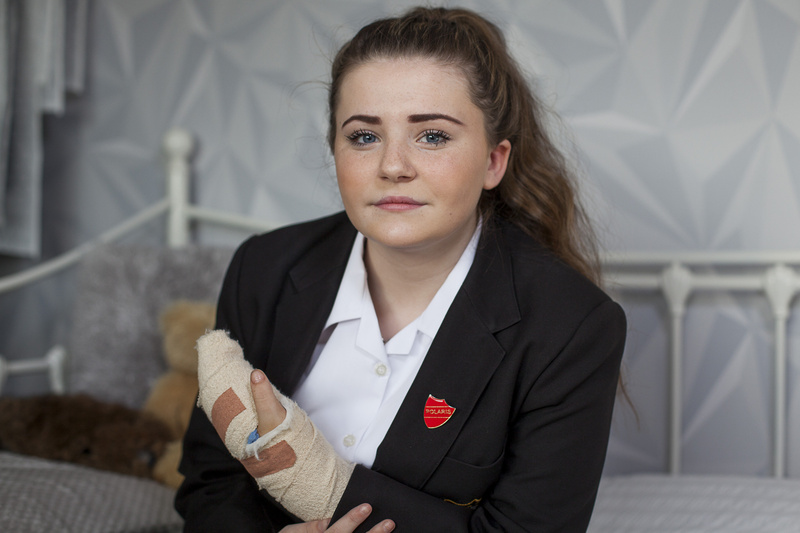 Lola Bennett was rushed to hospital after her hand slipped on a spiked fence as she tried to retrieve her school bag which had been hung there as a joke. She used a tree stump to reach the strap of her bag but her friendship ring got snagged on the fence and tore her finger apart as pals tried to yank off her shoe. 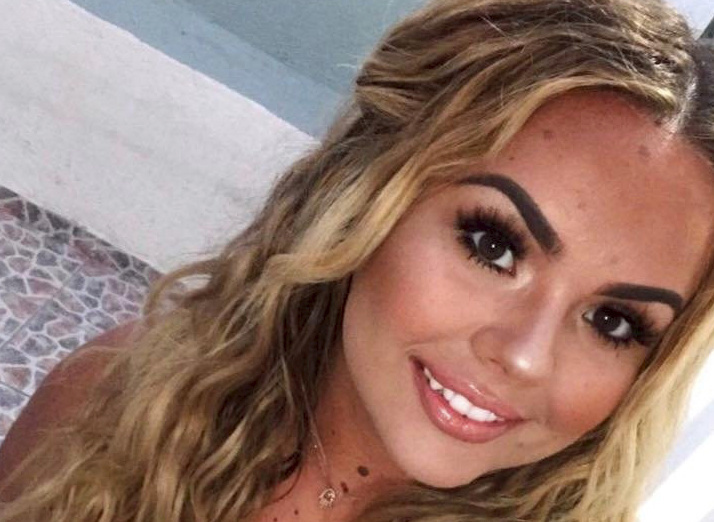 Her horrified friends raised the alarm and ambulance crews dashed to the memorial garden in Kingsbury School, Tamworth, Staffs., last Friday (22/4). She was rushed to Birmingham Children’s Hospital but surgeons were unable to save her middle finger on her left hand which was broken and had severe nerve damage. Brave Lola underwent a three-hour operation to have the digit amputated just below her knuckle. Despite her horror injury, Lola was back in lessons on Monday (25/4) and says she doesn’t blame her friends for the accident. Today (Thurs) Lola said: “I went to get my bag and to reach it I knelt on a tree stump next to the fence. “As I reached to get it, my ring caught on the fence and that was it. “It was so painful, I was on gas and air at school. “The first responders were amazing and the ambulance staff were lovely too, they gave me more gas and air and cut off my ring while I was in the ambulance. Mum Zoe, 41, is now calling on all schools to carry out renewed safety checks to make sure that such a freak accident cannot happen again. The admin assistant said: “I hope that this incident makes the school and other schools carry out checks to make sure there aren’t any hazards like this. “The tree stump was over two feet high and shouldn’t have been placed next to the fence. “It’s been awful for Lola and the other girls who saw the whole event were traumatised. “She doesn’t blame the girls, they were just messing around like teenagers do. It was just a horrible accident. “Her father said she didn’t even cry but it might have just been the pure shock of what happened. “I can’t even look at the picture of her finger, it was just hanging off apparently. “I was so worried about her but she has taken it all in her stride. She was back laughing and joking before we knew it. Kingsbury School headteacher Martin Clarke said: “There is an ongoing investigation into the accident, so it would be inappropriate for me to comment at this stage. Mr Clarke said that the incident had been reported to the Health and Safety Executive.